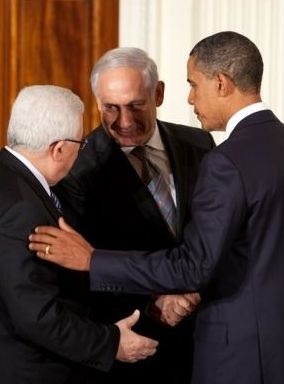 The Israeli-Palestinian talks recently convened by President Barack Obama may or may not lead to a peace agreement. But the negotiations could mark the last serious attempt by a U.S. president to invest his (or her) own political capital and American diplomatic prestige in resolving the conflict based on a two-state solution. An international consensus has emerged in support of a formula setting an end to the 100-year-old clash along the lines of the 2000 “Clinton Parameters.” This consensus includes the members of the Middle East “Quartet,” the Arab League, and mainstream Israeli and Palestinian leadership. Thus, Israeli and Palestinian negotiators are under pressure to conclude within the year negotiations over a final status agreement along the following lines: A Palestinian State that would be established on most of the West Bank and the Gaza Strip. Approximately 80 percent of the settler blocks in the West Bank would remain under Israeli sovereignty. In exchange, Israel would concede some territory within the 1967 Green Line borders. If the Clinton Parameters are followed, Palestinians would have to relinquish their claim to the “right of return” of all Palestinian refugees; sovereignty over the Temple Mount and the Western Wall will have to be resolved; and the two sides would have to agree on the division of Jerusalem. Bridging the differences on these issues presents a major diplomatic challenge. The willingness of the United States, the other members of the Quartet, and moderate Arab states to apply their influence during the negotiations is critical for producing a viable and long lasting outcome. On the other hand, getting the Israelis and the Palestinians to conclude such an agreement proved impossible for President Bill Clinton in 2000. Former Israeli Prime Minister Ehud Barak and the late Palestinian President Yasser Arafat failed to make a deal despite pressure from President Bill Clinton and a favorable political climate. A decade ago, Washington was still enjoying its post-Cold War “unipolar moment” with few significant geostrategic or geoeconomic challenges and a booming economy. A relatively moderate Labor government governed Israel; its public had rejected the right-wing Likud Party blueprint for a Greater Israel. At the same time, Arafat brought together many disparate Palestinian factions in support of negotiations with Israel. The collapse of the Camp David talks in 2000 reflected, in large part, the inability of the two sides to narrow the chasm between their positions on Jerusalem and other issues. This breakdown helped trigger the second Palestinian Intifada and return the Likud Party to power. In the United States, the 9/11 attacks the following year helped establish the geopolitical environment for launching the invasion of Iraq. The attacks also reinvigorated American neoconservatives and the Israeli right-wing to advocate for their radical vision of reshaping the Middle East map (see “Why Iraq? The State of Debate on the Motives for the War,” Right Web, May 19, 2009). The Bush administration’s “war on terror,” however, had the effect of weakening U.S. geopolitical power and its position in the Middle East. Rather than launch the Israeli-Palestinian negotiations from a position of strength—like Clinton was able to do—Obama comes to the table as U.S. military and economic power is eroding. The effort also comes at a time when the international system is quickly evolving, and global powers such as China and Russia—as well as Middle East players like Iran and Turkey—are challenging U.S. dominance. Moreover, Palestinian leadership is divided between the secular Fatah led by President Mahmoud Abbas, which controls of the West Bank, and the Islamist Hamas, which rules the Gaza Strip. Likud leader Benjamin Netanyahu now heads Israel’s government. He has spent much of his political career railing against the idea of ceding “Judea and Samaria” (the occupied West Bank) to the Palestinians. In the aftermath of the second Intifada and Israeli military retaliations, Israeli and Palestinian public opinion have been radicalized. A diplomatically and economically frail United States led by a politically weak president is much more constrained in its ability to exert leverage than it was a decade ago. Additionally, Netanyahu and Abbas do not have the political will or the public support for making the kinds of concessions made by Barak and Arafat in 2000 at Camp David. When President Obama addressed Muslim audiences in Istanbul and Cairo in 2009, his commitment to promoting peace between Israelis and Arabs suggested policy movement in that direction. Subsequent signs of a rift between Obama and Netanyahu over the issue of Jewish settlements seemed to reflect a new willingness on the part of a U.S. president to pressure Israel to embrace a more flexible approach to peace. For his part, Netanyahu made a few public comments suggesting he would accept the idea of a Palestinian state under certain conditions. But after Israel announced new settlement construction in East Jerusalem during Vice President Joe Biden’s visit to Israel this past March, the Obama administration was furious. When Netanyahu next visited Washington, Obama appeared to give the Israeli prime minister the diplomatic cold shoulder by refusing to pose with him for photographs. Still, Obama failed to get Netanyahu to agree to extending the moratorium on Jewish settlement growth beyond the late September deadline. Although the Israeli prime minister suggested in mid-September that he would limit the amount of new construction, he refrained from making a public commitment. If anything, Obama himself appears to have refrained from applying serious diplomatic pressure on the Israeli government, rather than repeat President George H. W. Bush’s battle with former Israeli Prime Minister Yitzchak Shamir, when Bush threatened to withhold financial aid to Jerusalem over the issue of the Jewish settlements. From a political perspective, the April meeting took place immediately after Obama’s win on health-care reform. According to the narrative in Washington at that time, Obama was starting to gain his political traction and was winning the fight with the Republican Party and its Tea Party allies. This momentum in turn would strengthen Obama’s hand in dealing with other policy issues, including strained relations with Israel (see “No Tea Parties for Bibi,” Right Web, April 1, 2010). Unfortunately for Obama, his legislative victories have failed to sustain his personal popularity and the electoral standing of his party. There is a strong possibility Democrats will lose control of Congress after the midterm elections. Obama would then be in a far weaker position to wield influence to impact the peace process, especially as he gears up to run for a second term. In 2008, Obama won with the support of a large majority of American-Jewish voters and is unlikely to take steps that could alienate them. As Laura Rozen has pointed out, “Some congressional Democrats have told the White House they fear that they will suffer with key donors and in the November midterms from the perception that Obama has been too tough on the Israeli leader.” Even with the launch of the pro-peace and liberal J Street lobby, Obama undoubtedly will have less political maneuvering room in the Israeli-Palestinian peace process. It is likely Obama hopes that by creating a sense he is “doing something” to help advance Israeli-Palestinian peace, he will be able to placate Arab moderates led by Saudi Arabia and foster a “strategic consensus” between Israel and Sunni Arab countries, a consensuses that would be bolstered by concerns over the rise of a Shiite Iran. But that is a strategic pipe-dream. The fact is, Arab leaders do not have the political will or capital to accept the sharply limited terms Netanyahu will agree to. Doing so would spell their political, if not personal, extinction. Sadly, this foretelling of failure is music to the ears of U.S. neoconservatives and their Likud comrades. Their fantasy: An enduring confrontation between the U.S.-led West and the Muslim world, which would turn the Israeli-Palestinian issue into a strategic sideshow and bolster Israel’s position as America’s sheriff and quasi “crusader state” in the Middle East. These armchair warriors hope that a U.S. attack on Iran’s nuclear installations—or granting of a “yellow light” for an Israeli attack—could transform the clash-of-civilizations scenario into a reality. They view with satisfaction the growing Islamist bent of Turkey, which coupled with the aftermath of U.S. withdrawal from Iraq and growing political instability elsewhere in the Middle East, could strengthen the power of the radicals in the region and thus create pressure for an aggressive U.S. posture. But this fantasy, like the earlier ones concocted by neocons in an effort to get the United States to attack Iraq, is bound to further diminish U.S. military and economic power and erode the country’s ability to support Israel and the Israeli-Palestinian peace process. It is not inconceivable that the momentum of the newly reinitiated peace talks could lead to some limited progress, which in turn would create an environment more conducive for reaching some level of agreement on Jewish settlements, Palestinian refugees, and Jerusalem. But even if that happens—and that remains very unlikely—the mounting opposition to such a settlement on both sides would probably be exploited by the extremists: Iran and its regional partners who back Hamas, on one side; on the other, the axis of Israeli and American right-wingers, which is expected to become even more energized as Obama and the Democrats lose power. An American political environment that is dominated by mounting Islamophobia and rising tensions over Iran’s nuclear ambitions will likely lead to the closure of the narrow window of opportunity for an activist U.S. role in trying to resolve the conflict in the Holy Land. Whether under Republican or Democratic control, Washington will likely not have the credibility to help mediate an agreement, especially with its strategic and economic position continuing to diminish. Hence, unless the balance of power in Washington and worldwide starts moving in a new direction soon, Obama’s current peace processing could prove to be the last American diplomatic hurrah in the Middle East. The Israelis and the Palestinian will have to come to terms with each other eventually. But the ability of the United States to make that happen is diminishing in a very dramatic way. Leon Hadar, a research fellow at the Cato Institute and a contributor to Right Web (https://rightweb.irc-online.org/), is author of Sandstorm: Policy Failure in the Middle East (2006). He blogs at http://globalparadigms.blogspot.com.